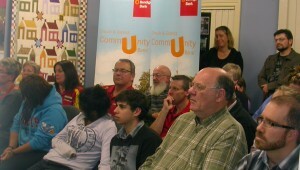 L2P VicRoads, Police Community Meeting. At a recent meeting on April 7th at Warragul Community house attended by members of Vicroads and the local Police over 80 learners and their Mentors were briefed on issues that concerned them regarding being a safe driver. There was some discussion around turning 21 and whether you need to get 120 hours. Lloyd advised you must be over 21 before you can apply for a licence test without the 120 hours. There was also some discussion about P Platers who refuse to identify their Red P Plates, instead turning them over to green P Plates. If you get pulled over you will get booked! Above all use common sense when approaching a roundabout! Remember to stay in the correct lane at a roundabout! Think of a clock. The maximum danger in a roundabout comes from the 1 to 6 position of the clock dial! If a pedestrian crossing is seperated by a traffic island you may proceed if the pedestrian has crossed over the centre island to the other pedestrian crossing on the opposite side of the road. Use the feedback meaningfully to find out what you have been doing wrong and work on it with your mentor! From the Traffic Police in Attendance. Red Ps vs Green P’s. Restated that if you have Red P’s you must display them and NOT drive on Green P’s. If pulled over you will be fined and issued with demerit points. P Plate drivers cannot use Tom Tom devices or mobile phones. Take that minute to stop and understand road conditions. And drive at a speed that is safe!